When you need to find a reliable HVAC company that offers competitive rates and prompt service, you can count on Cote’s Mechanical. Whether you want a more energy-efficient cooling system for your home or you suddenly need HVAC repairs, we’re here to help. We offer our customers a free service call with repair services, as well as great financing options. From installations to unexpected repairs and seasonal maintenance, our team is equipped to handle all of your heating and air conditioning needs. When you hire Cote’s Mechanical for A/C and heating unit installation and repair in Argyle, you can rest assured that you will receive top quality service. Our technicians, who all have the proper licensing, arrive on time and perform all HVAC services with the utmost care. Whether you need installation services for a new heat pump or repair services for an air conditioner that is only blowing warm air, you can rely on us for help. At Cote’s Mechanical, our services go beyond installation and repair. 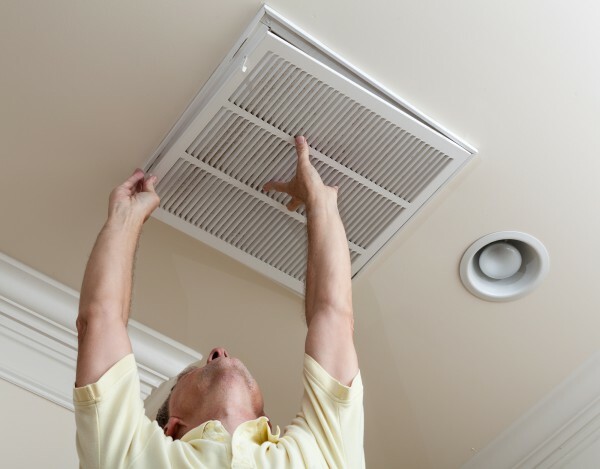 We also provide replacement services, maintenance services, and attic ventilation services. In addition, our technicians can provide you with insulation services to help improve your home or business’ energy efficiency and make it feel more comfortable throughout the year. From HVAC installation to attic ventilation, our team is ready to provide you with the services you need at your Argyle home or business. Why should you depend on Cote’s Mechanical when you need HVAC service in Argyle? Since 2001, our company has earned a strong reputation for being reliable and providing customers with service that they can count on. Co-owners Cote and Kristi Wyatt have a firm commitment to making sure that each of our residential and commercial customers in and around Argyle receives the best service possible. Our customers have been spreading the word about just how outstanding our service is through online reviews. If you need more evidence of our commitment to great customer service, you should know that we have been awarded the Super Service Award from Angie’s List. Our company has also received accreditation from the Air Conditioning Contractors of America (ACCA) and an A+ rating from the Better Business Bureau. Our ability to follow high standards of service has also earned us certification as a Trane Comfort Specialist. Residents who live in Argyle have an average income of $112,797 per household, which is much higher than the national and state average of around $55,000 per household. This higher average income helps residents purchase homes, which cost a bit more in Argyle compared to the rest of Texas. The average home price in Argyle is $365,300, while the average home price in Texas is around $142,000 and around $184,000 in the U.S. overall. There are roughly 3,700 people who have made their home in Argyle. The city offers convenient access to Denton, which is only a 15-minute drive away via I-35W N. It takes about 45 minutes to get to Dallas from Argyle and about 30 minutes to get to Fort Worth. Residents in Argyle have some great dining places available, whether they want a full meal or a cup of coffee and a snack. Head to Coffee Tree Cafe for Brazilian cheese bread and a steaming cup of coffee, or go to Kimzey’s Coffee for a cup of specially brewed craft coffee and baked goods. Cool off with New Orleans style shaved ice at Snappy Snow, or have some world-class barbecue at 407 BBQ. Argyle book lovers can join the North Texas Book Festival, which consists of literary events, writers groups, and more. Those who want to volunteer in their local community can apply for local Boards and Commissions. Some of these volunteer opportunities include the Crime Control and Prevention District, Planning and Zoning Commission, Economic Development Corporation, and the Zoning Board of Adjustment. Thinking about upgrading your heating and cooling system to increase energy efficiency? Contact Cote’s Mechanical for HVAC installation at your Argyle home or business. We also offer repair services, including emergency repairs, and routine maintenance so that you can enjoy reliable heating and cooling in your residential or commercial building all year round. Craig with Cote’s Mechanical was the most professional AC service man I have ever had. He explained what he was doing and why it was necessary to keep my AC unit free of debris. I highly recommend Craig and Cote’s Mechanical for AC repair work!!! Quick and fast service. Very friendly!!! Turned on switch to furnace. Cooling properly. Replaced condenser fan motor on trane unit, ac system is cooling properly. Replaced capacitor on 5 ton Carrier ac unit. Repaired refrigerant leak on Rheem condenser.